DVD Import 5.0 is much improved as far as keeping the audio in sync with the video on imported media. However, there are some cases that still cause DVD Import to get the audio out of sync. Never fear, there is a new Audio Processing option that lets you override the Sync. 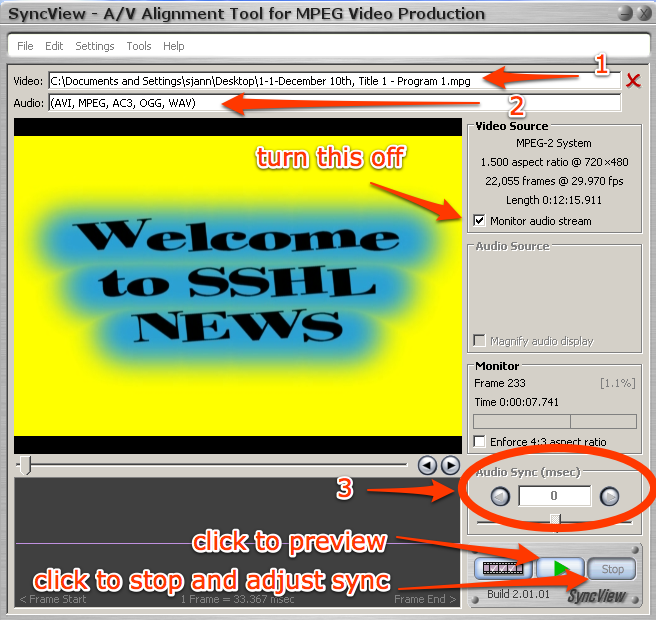 To enable this advanced feature, click on “Options…” and enable the “Adjust AV Sync” option. Once you do that, you’ll see a Sync slider under the Audio Processing area. Well, there is a nifty little app that I ran across that may make your life easier! Download SyncView Then, once you have it downloaded, install it. Now, import your DVD as you normally would. Once it is done, try previewing it. But at the point you would have previously gotten really disappointed/angry/sad by a bad import, instead, launch SyncView. Double-click the text area to the right of the “Video:” label (1), choose the .mpg file you just imported. 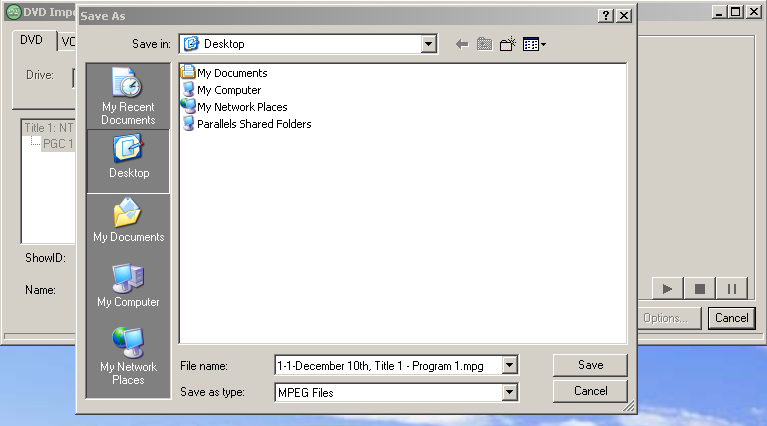 If you purchase the extended version of SyncView, you can directly demultiplex the input file. If you didn’t purchase it, there’s an extra step. You’ll need to get a separate file of audio extracted from that mpeg file. If you already have a lot of knowledge on digital video, you may already have a way to do this, otherwise, I found a free little utility called AoA Audio Extractor which lets you extract a WAV file of the audio. Once you do that, you can set the audio file by double clicking the text to the right of the “Audio:” label (2). Then, make sure you click to turn off the “Monitor audio stream” check box. Now, the trial and error part, but it will be a lot faster than re-importing the DVD each time… adjust the “Audio Sync (msec)” (3) value by typing one in or using the arrows, when stopped, play the video again, then fine tune it until you get the correct value figured out. Once you have that value, then simply return to DVD Import and select the closest value to the negative of the one you found you found with the “Sync” slider (i.e. if SyncView told you 224, select -224 with the slider). Import your DVD as you would normally, except for setting that slider, and the result should be a program with the audio and video in sync!